Are you just starting to get into running? Don’t know where to start? Don’t know what things you should have and what things you shouldn’t? When I began running, I did and made many mistakes that I eventually learned about through my own experiences. So I have put together my list of top 5 things I wish I was told to do and buy when I first started running because it would have been incredibly helpful in the beginning. I know it will be helpful for you! Lube it up! Body glide is an incredibly important product to help prevent chafing on any part of your body. The inner thighs, chest, armpits and anywhere that rubs, make sure you put it on. Because if there is one thing that is not comfortable, it is chafing. I have experienced it many times, and Body Glide is the way to prevent it. Everyone has a pair of tennis shoes or sneakers in their closet, but that doesn’t mean those shoes are good for running. You probably also have no idea what your stride is like and the impact it can have on your joints. Getting a fitting is the best way to buy the best running shoes for you and how you run. When I first started running, I had some moisture wicking shirts, but I also had a bunch of cotton shirts. I wish someone had told me when I started running to ditch the cotton shirts. They just kept sweat in, caused even more chafing and was overall uncomfortable. 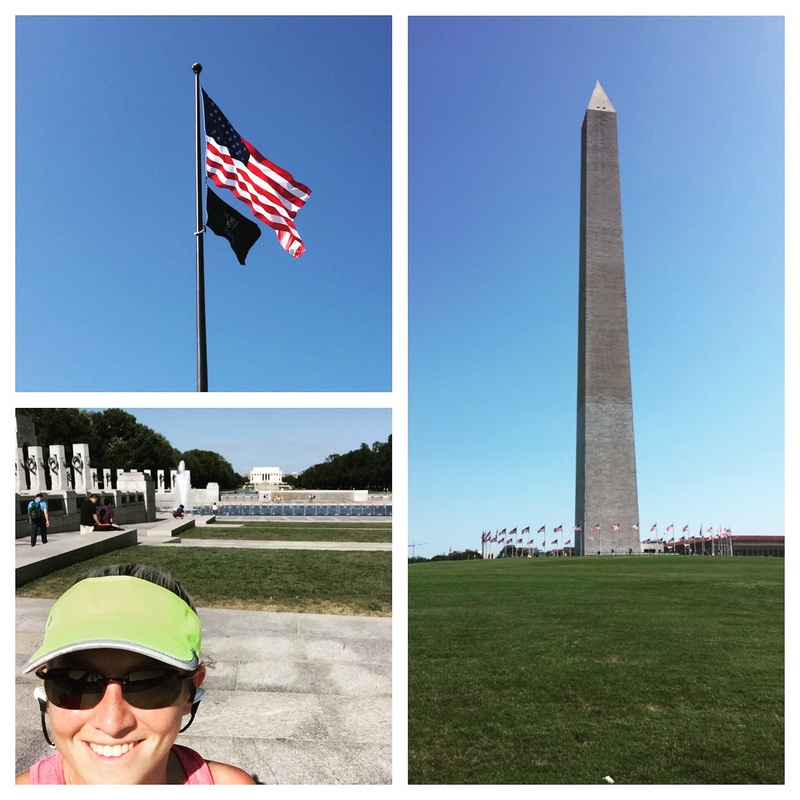 Moisture wicking clothes changed my life and made running more comfortable and enjoyable. When I first started running I wanted to time myself while also know where I was running and how far. To time myself, I would wear my regular watch which wasn’t the best thing to run in, and I would try to check maps online or guess how far I ran based on the signs on the road or what someone told me. If I was only focused on time, I wish I had gotten the Timex watch and if I wanted both time and mileage, a GPS watch would have been very helpful. For awhile, I would use gmap pedometer to plan on how far I would run. It actually wasn’t until 2012 when I got a GPS watch. Moving Comfort makes an incredible product for women of all sizes. Certain bras are made to resemble regular bras with clasps in the back, some are racer back with clasps and some are regular racer backs. Some are made for women with smaller chests and some are made specifically for larger breasted women. Having the right sports bra is incredibly important for running because not only does it provide support, but it also helps prevent a lot of bouncing in an area that is not necessary.